Make those central stars of storybooks come to life. 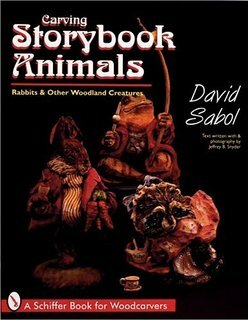 Children's favorites like the relaxed pipe-puffing rabbit ambling home with carrots tucked under his arm are here in an exhibition fresh from the imagination of veteran carver David Sabol. This gentleman rabbit is presented as the feature carving project crafted from unseasoned (or green) white pine with a separate cherry pipe. More than 260 color photographs and clear concise instructions guide the reader through every step making the process both enjoyable and rewarding.